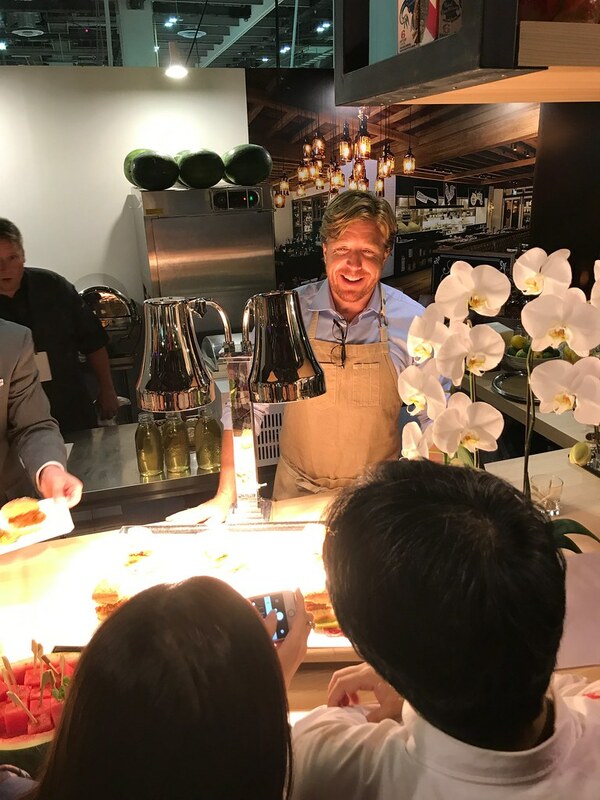 And what a slew of celebrity chefs we have this year. 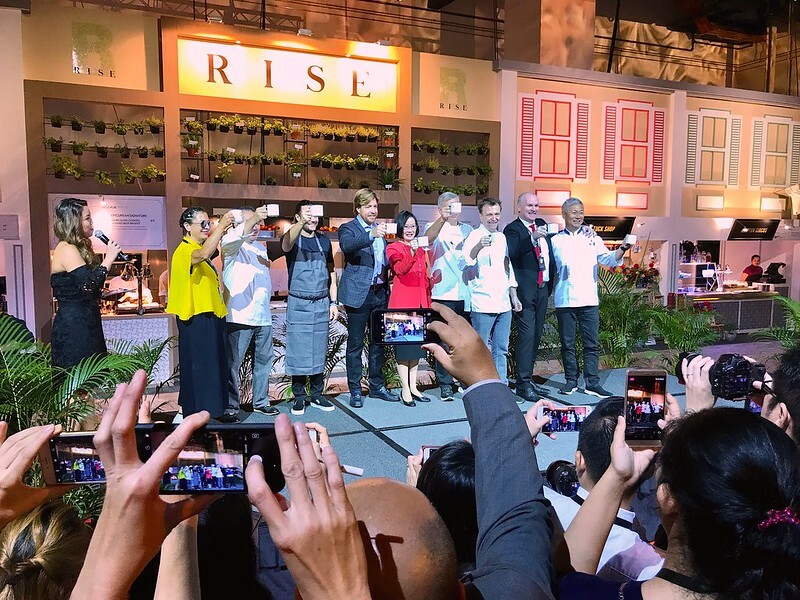 Nancy Silverton (Mozza), Tetsuya Wakuda (Waku Ghin), David Myers (Adrift), John Kunkel (The Bird), Ralph Scarmadella (LAVO), and Hide Yamamoto (Takumi Yamamoto). Everyone raised a toast with teh tarik in the old school enamel cups. 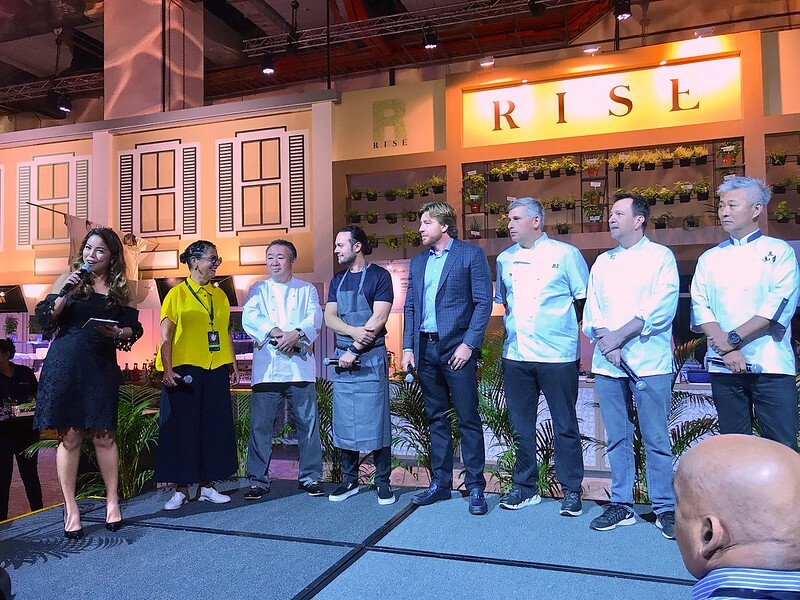 Yes, there's a strong local theme this year as RISE Restaurant, the international buffet restaurant at MBS, brings its first Singapore Street Food experience with four shophouse like stalls. 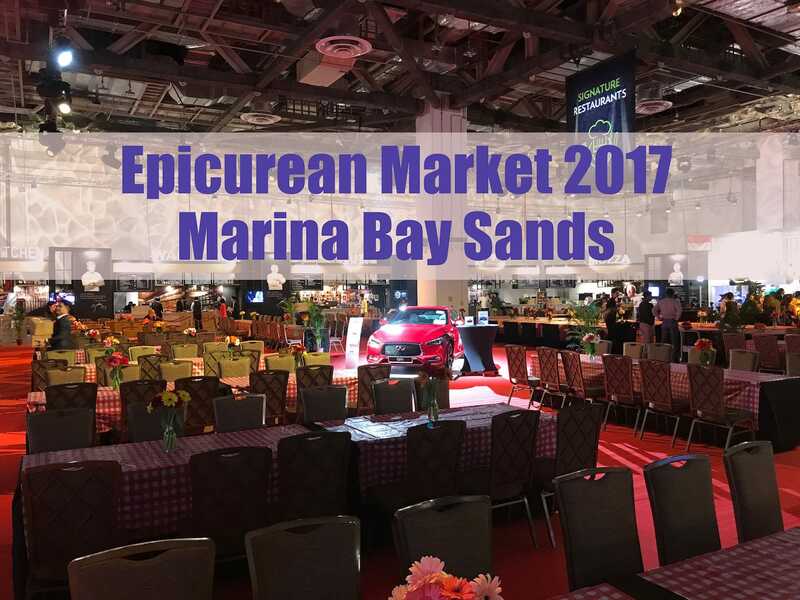 But with over 200 dishes to try at the Epicurean Market, which ones should you go for? Let's take a look at new entrants and the familiar favourites. 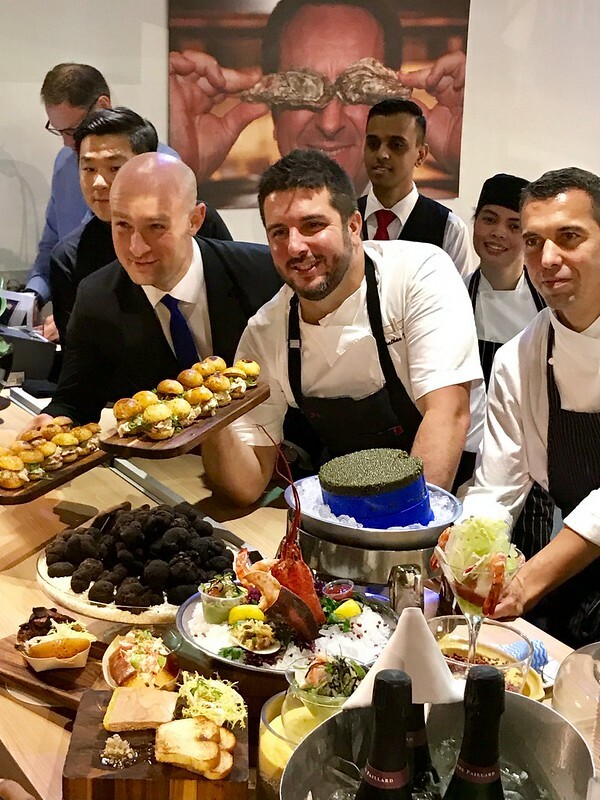 Chef Ralph Scamardella is bringing the beloved South Italian cuisine that's the basis of his success in New York and Las Vegas. Combining a bar, restaurant and indoor/outdoor lounge, LAVO takes over the lofty space formerly occupied by Sky on 57. LAVO will offer a day to night dining experience with incredible views of the Singapore skyline. 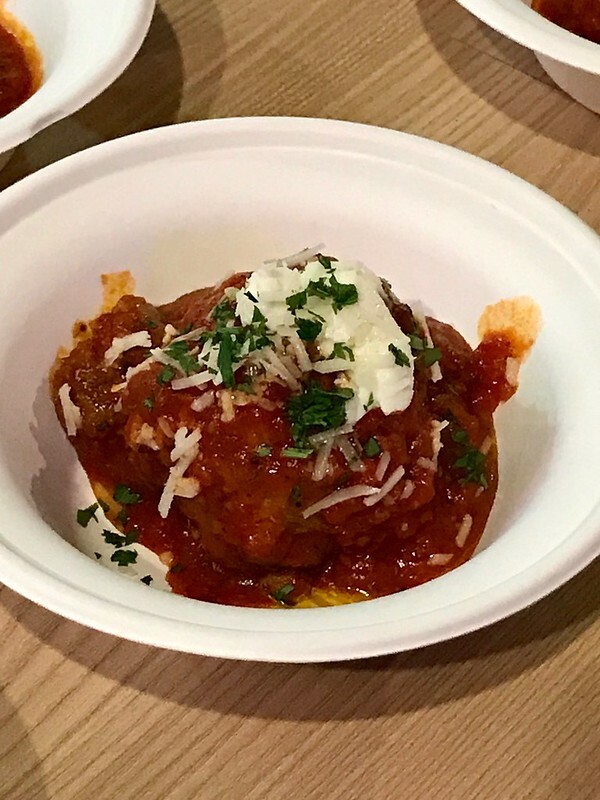 We tried the signature Meatball with Ricotta (S$15). It's hearty with sharp tangy flavours from the tomato and cheese. 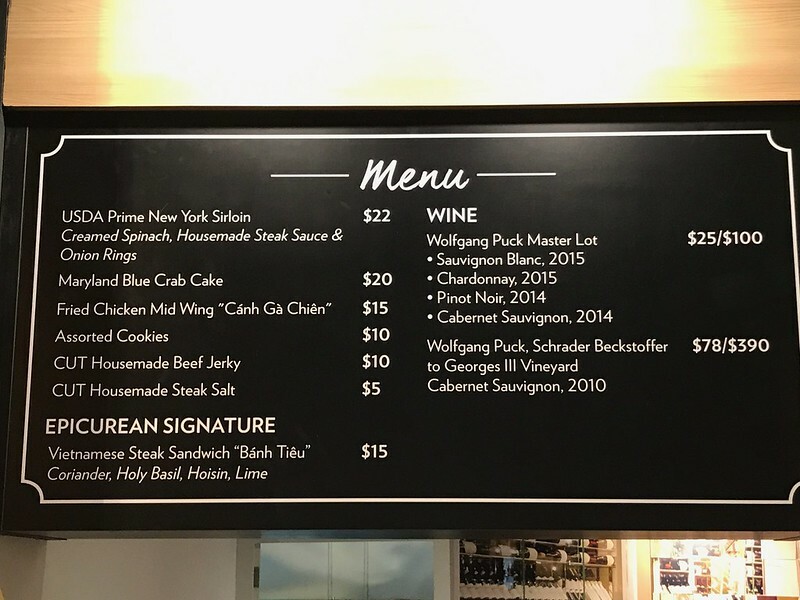 The signature here is the Mama's Chicken Biscuits (S$15). The chicken is excellent with the pickled jalapeno. 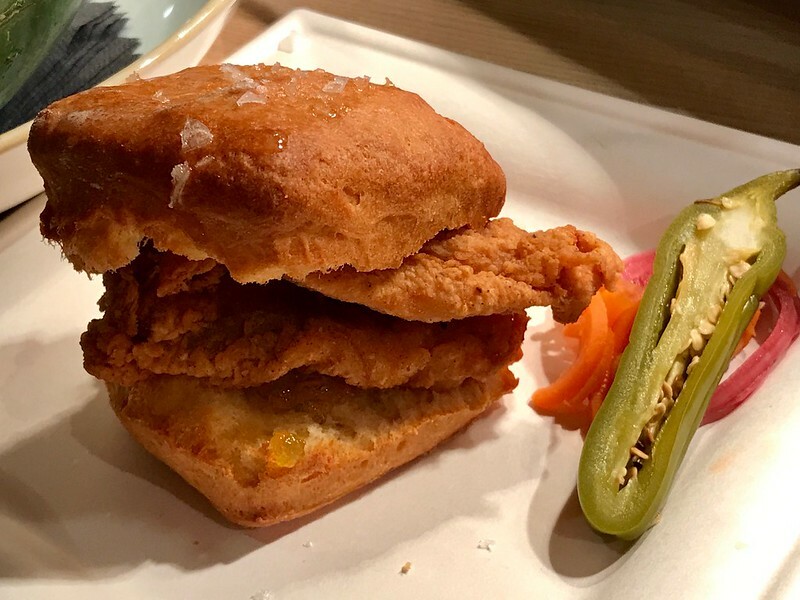 The biscuit is a little dense and doughy, so it will certainly fill you up fast. 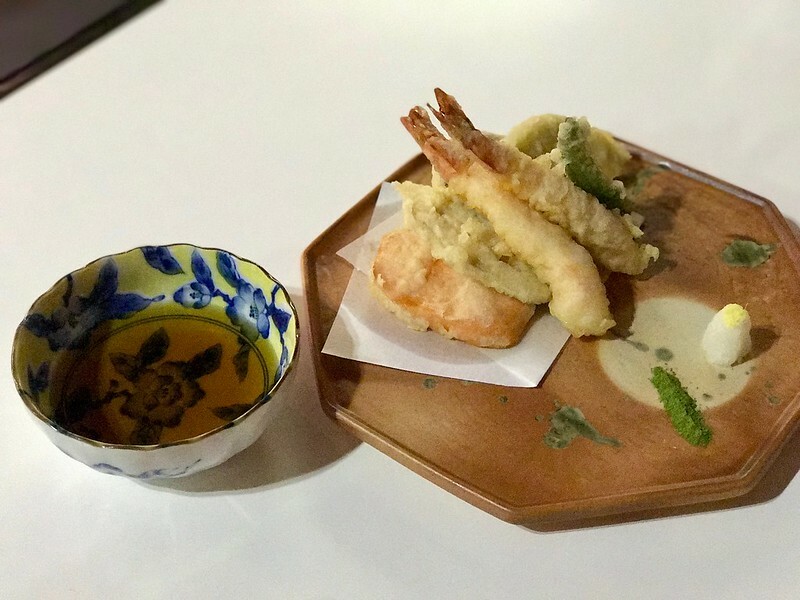 Hide Yamamoto teamed up with a tempura expert from Japan for this second restaurant. We got to try the Shoyu Tonkotsu Ramen instead though, so I don't know if this is any good yet. I'll be going back tomorrow to try this. Fish tacos pretty good here. 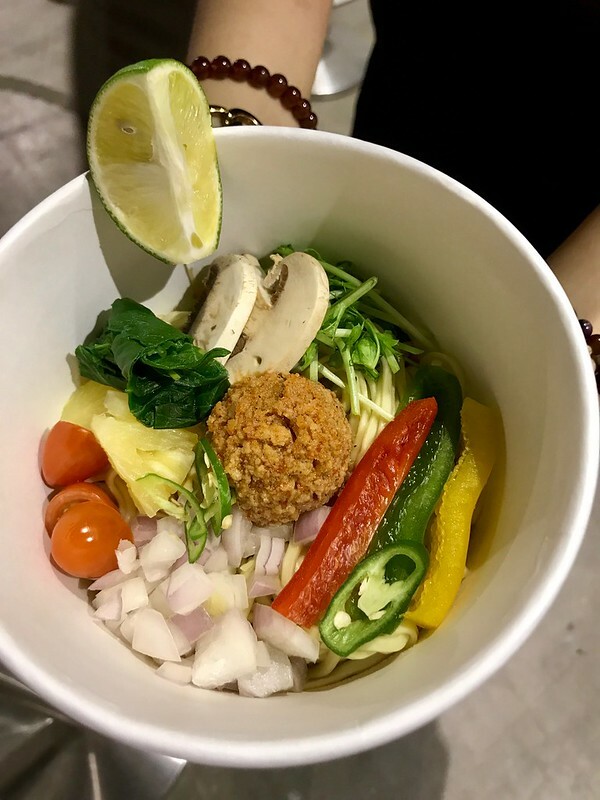 Ippudo has come to MBS and they've got maze soba (mixed dry noodles) which aren't available in any other outlet. 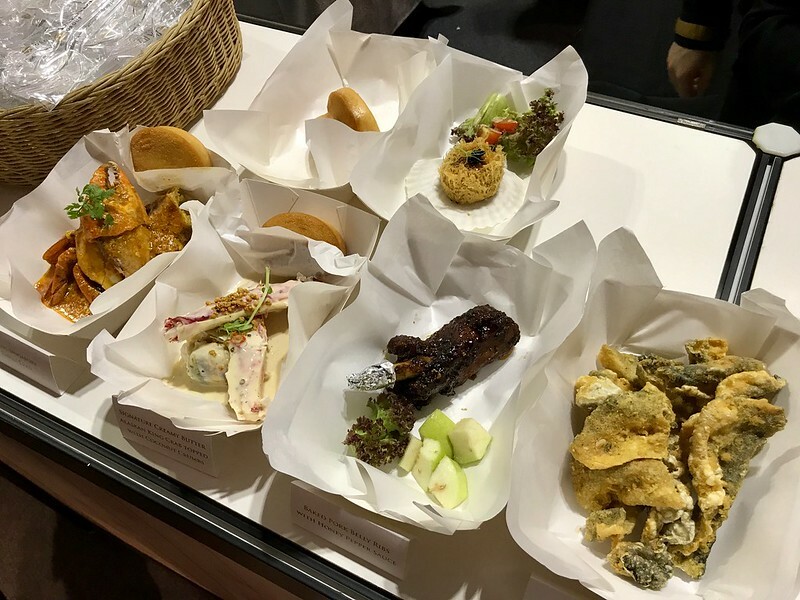 The Paradise Group has carved a foothold in MBS now too, and here are some of the sample dishes you can try. I'm putting RISE under new entrants because I've never seen RISE rise up like this. 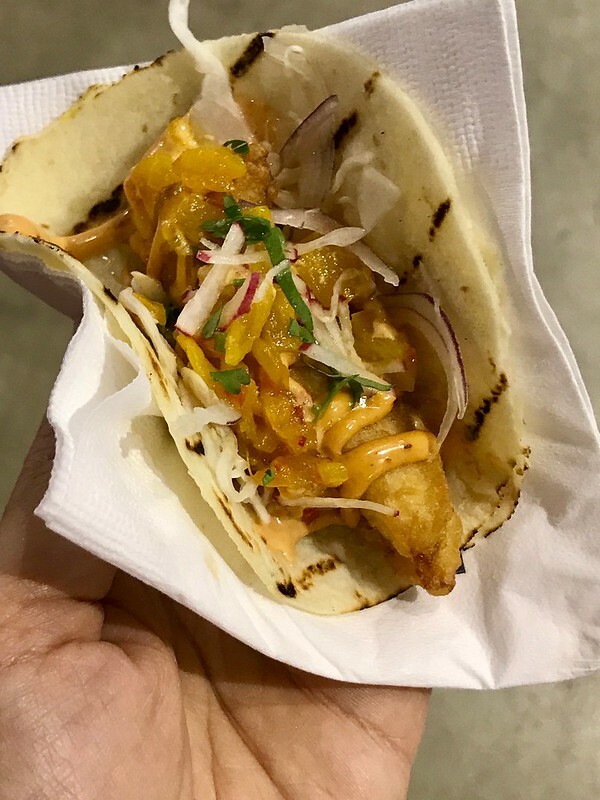 The local street food theme is a brilliant idea because they indeed do local specialties well. 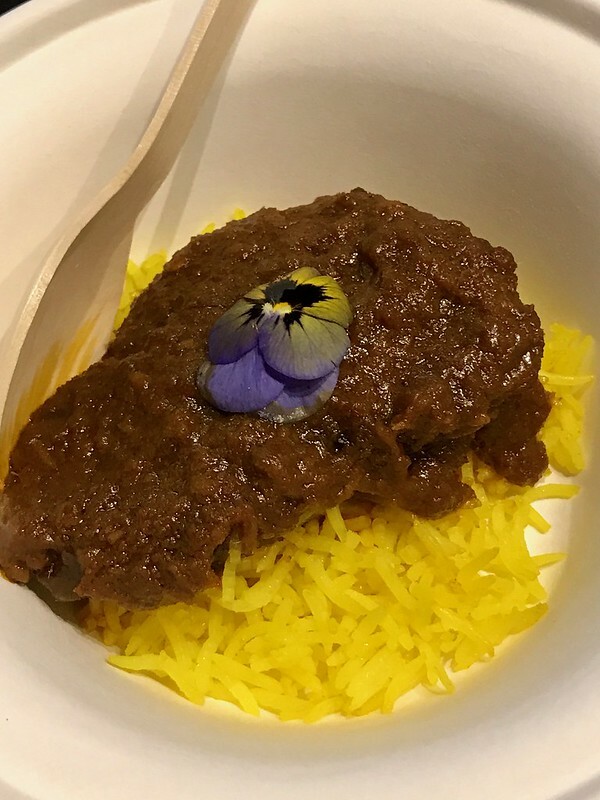 Their rendang sings with the familiar medley of Malay spices, even if it's a little on the sweet side. RISE has also revamped its decor and changed its presentation (I'll be covering that soon in another post). 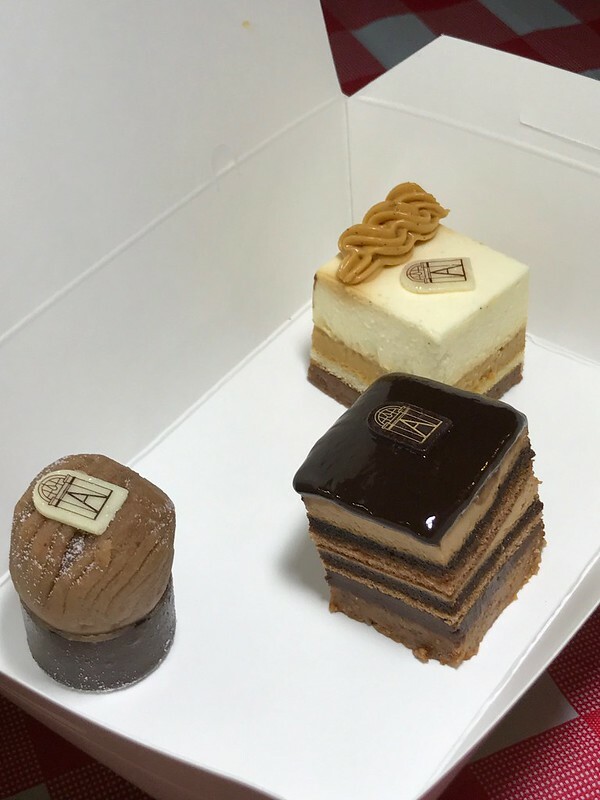 I didn't get to try these but they sure look good. Adrift always has fantastic food. 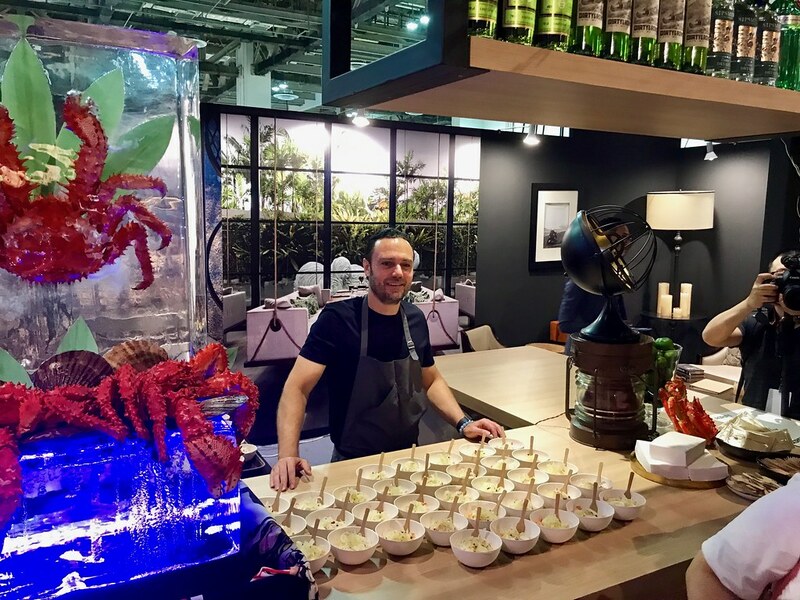 Chef David Myers is back again, this time featuring Hanasaki Queen Crab from Hokkaido, Japan. Man, they look huge. 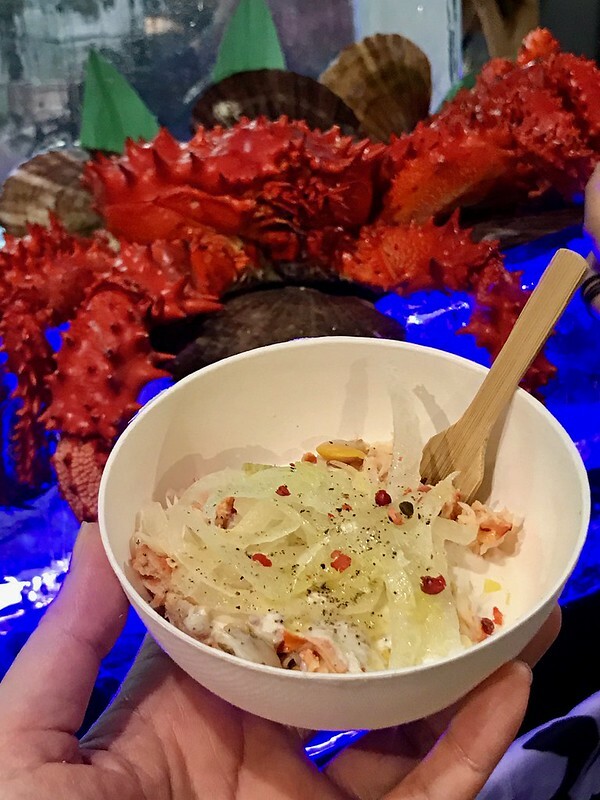 The crab is dressed simply with olive oil and pink peppercorn, some macadamia milk and crisp fennel. 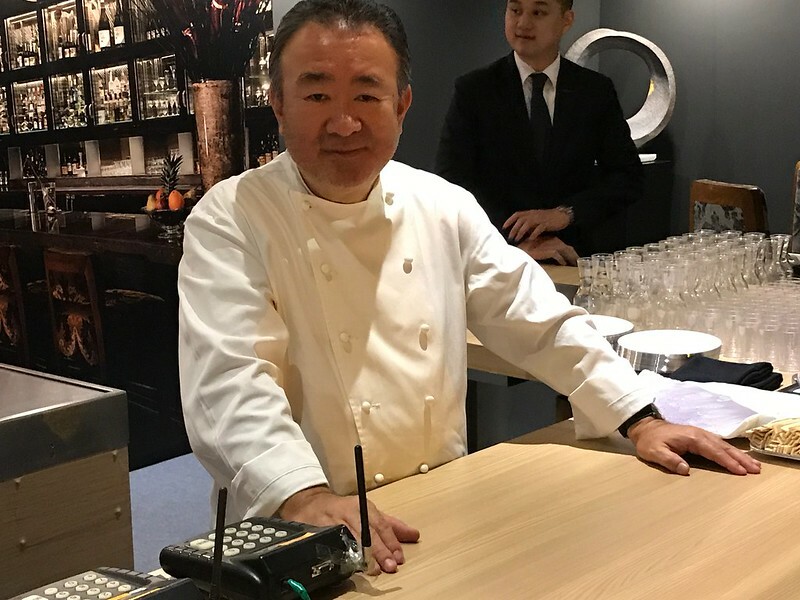 Waku Ghin is one of the most popular restaurants at the Epicurean Market, and now with two Michelin stars, the queues probably will be even longer. 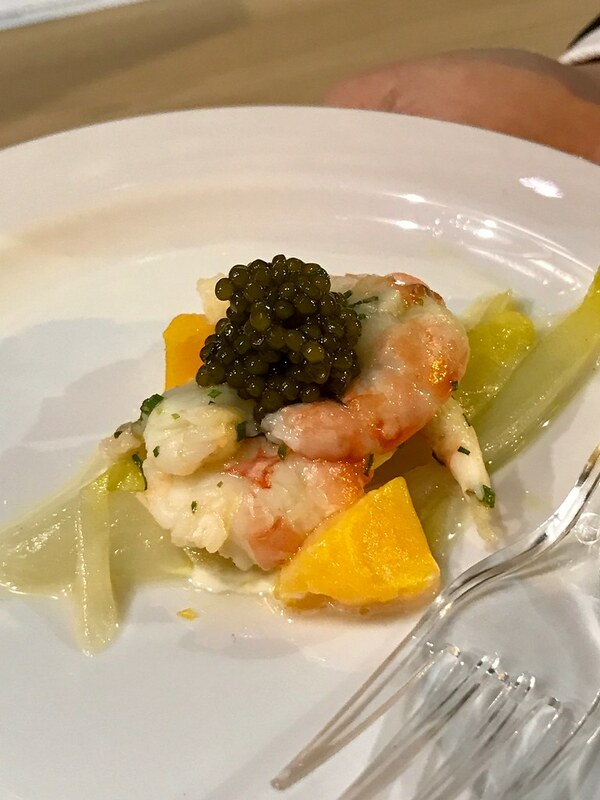 This year they have a new dish - Poached Botan Ebi with Compote of Egg and Oscietra Caviar - and it's quite a departure from the usual sashimi version with uni. I've never had botan ebi cooked before; it's sweeter than most prawns. 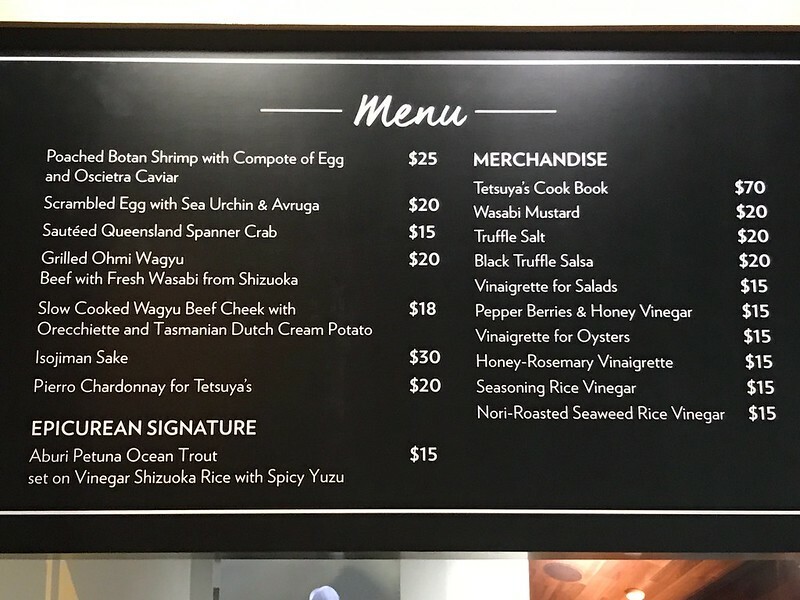 I'd recommend the Ohmi Wagyu too. 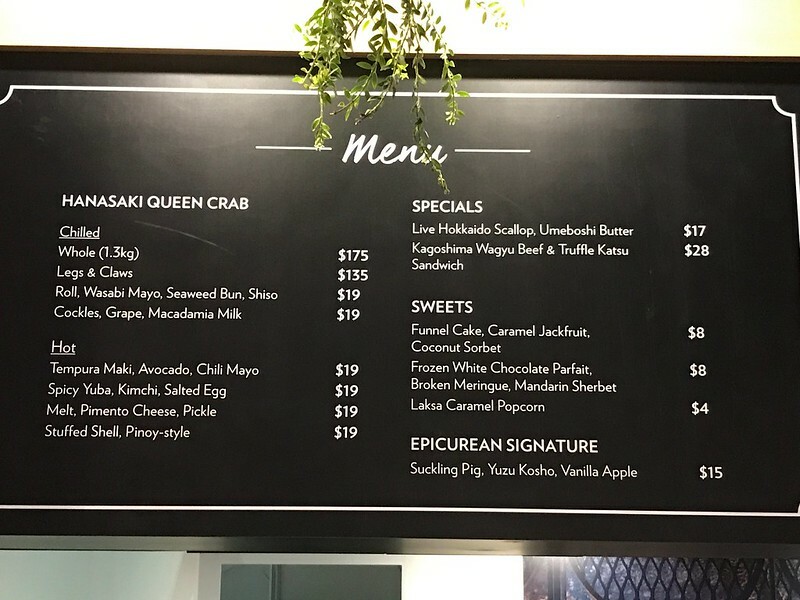 The lobster roll at db Bistro is a pretty good deal at S$25 (see real size portion on the table, bottom left). We got little sliders to try since we were covering 19 stations. 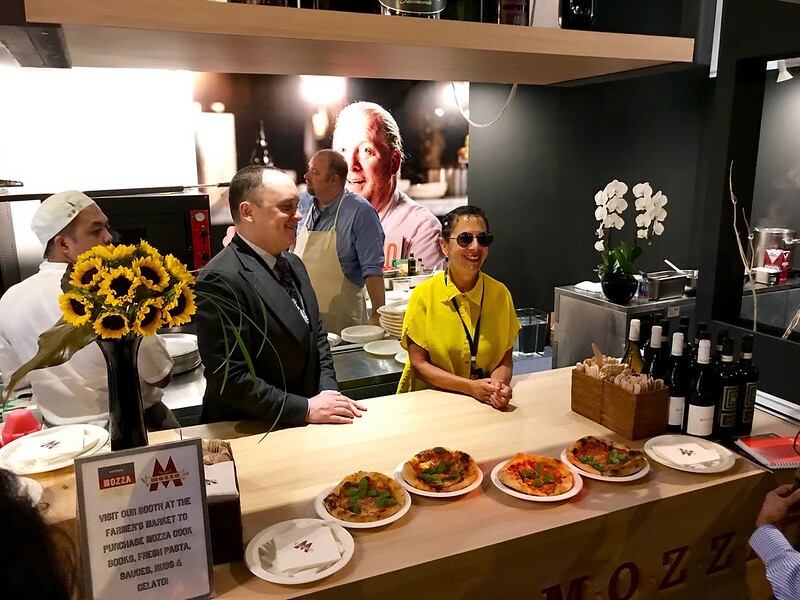 If you get only one thing at Mozza...make it a pizzette (S$10-12). These piping hot babies are so good with the crispy crust and bold flavours. Say hello to Nancy too. 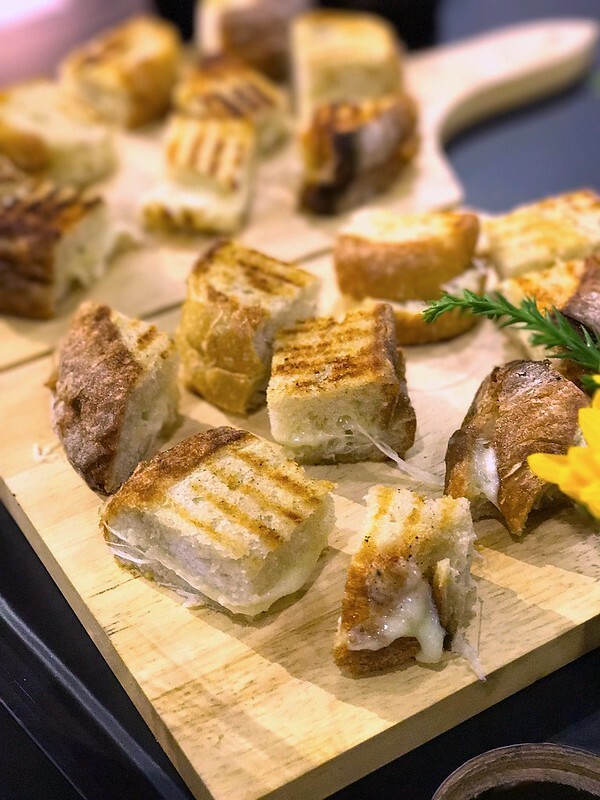 You have to check out her Grilled Cheese at Mozza's second booth inside the Farmers Market. Wow. These ribs are gorgeous. 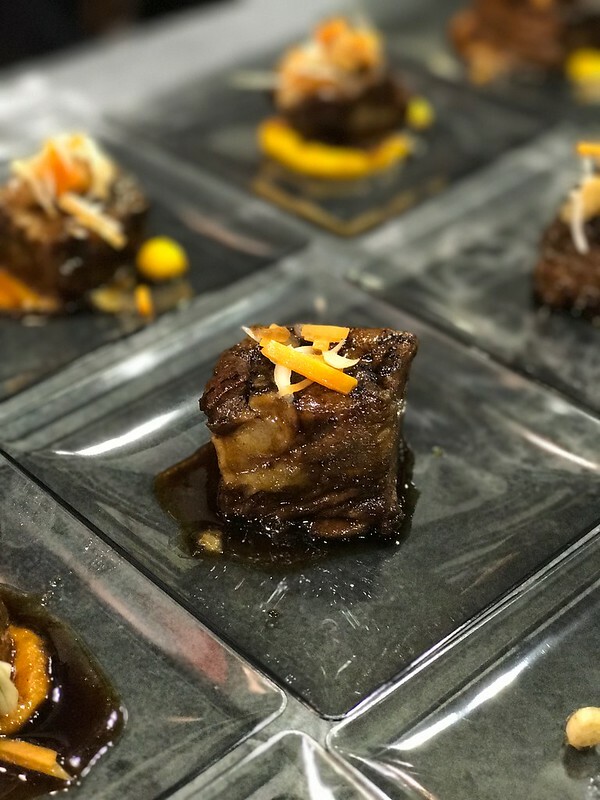 Tamarind Braised Beef Short Ribs with ginger, carrot coulis and pickled lily bulbs. Pickles a tad too tangy and overpowering but the beef is meltingly moreish (yes, it's fatty). 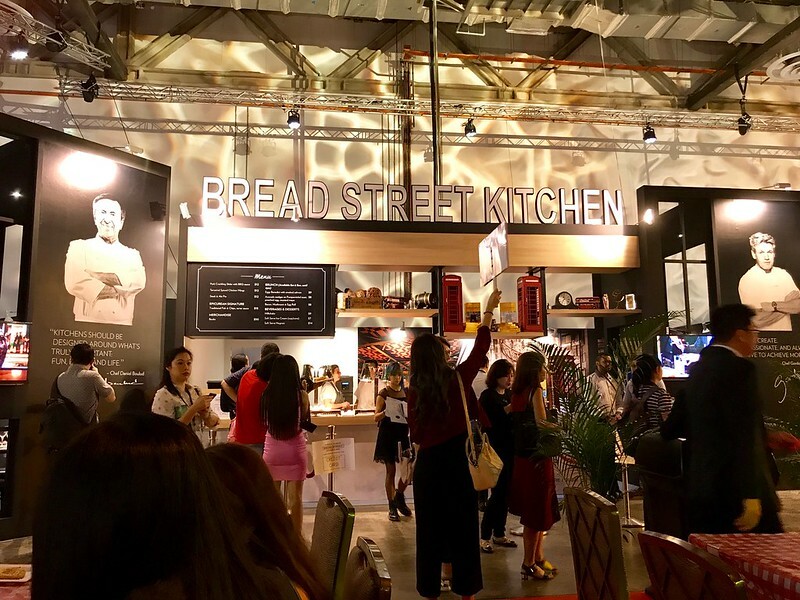 Gordon Ramsay's Bread Street Kitchen is featuring its Fish and Chips this year again. Steaks are the highlight at CUT but don't overlook the seafood. 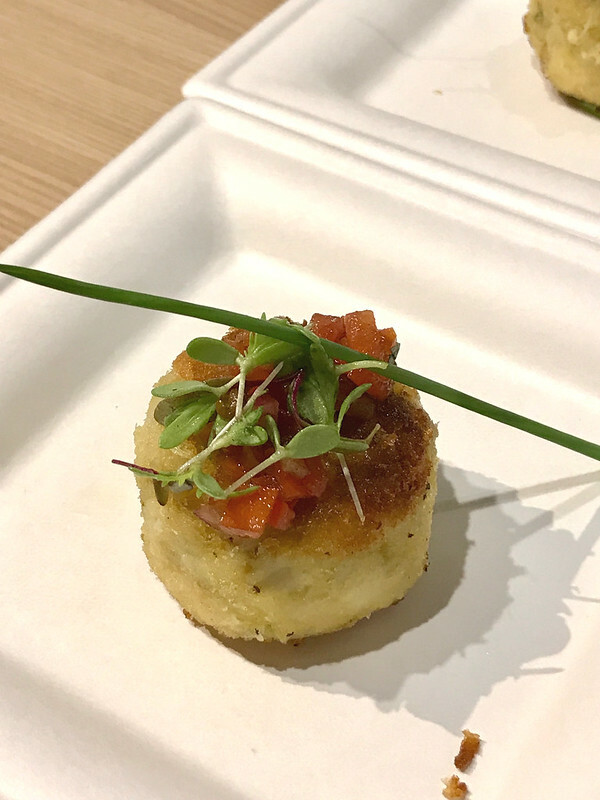 The Maryland Blue Crab Cake sits atop rosemary aioli. You can see and taste big succulent chunks of crabmeat in the patty. 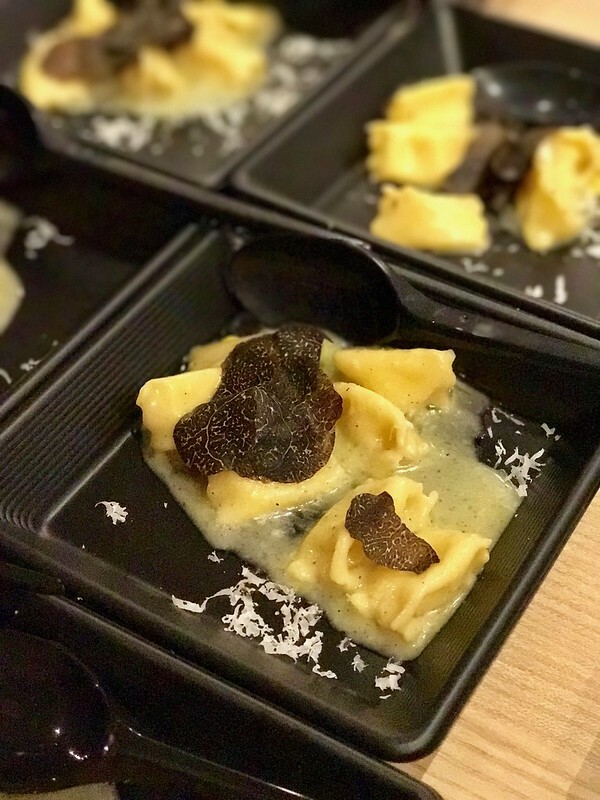 The Sweet Corn Agnolotti makes a return and I'm glad for it. I love how it melts in your mouth with creamy and comforting harmony. 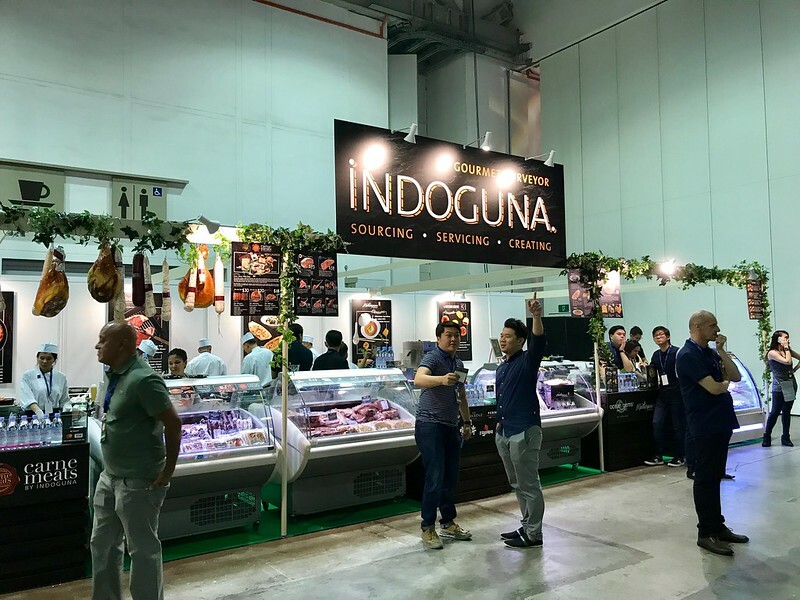 Indoguna has always been known as a purveyor of quality premium meats, and this is a great place where you can try out their products. 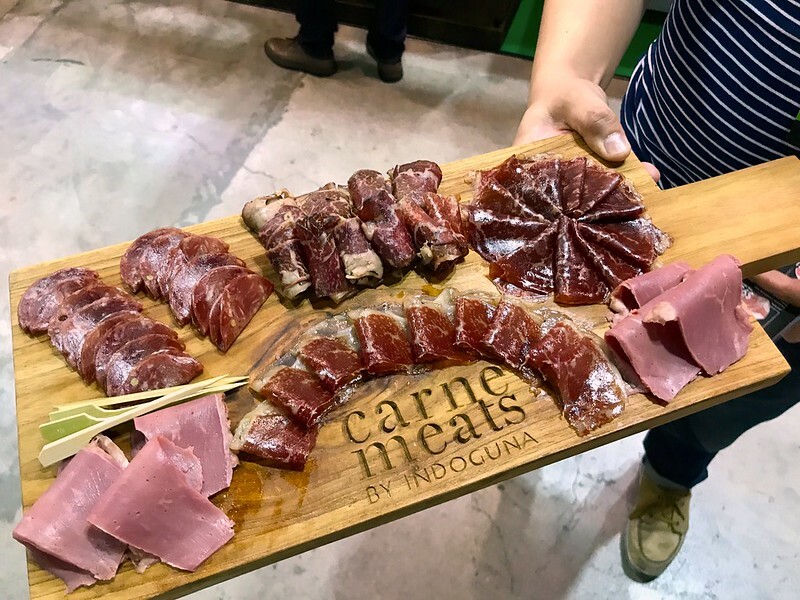 The Carne Wagyu Charcuterie (S$30) gives you a choice of five marvellously cured cuts like bresaola, salami, coppa, corned beef, pastrami, etc. 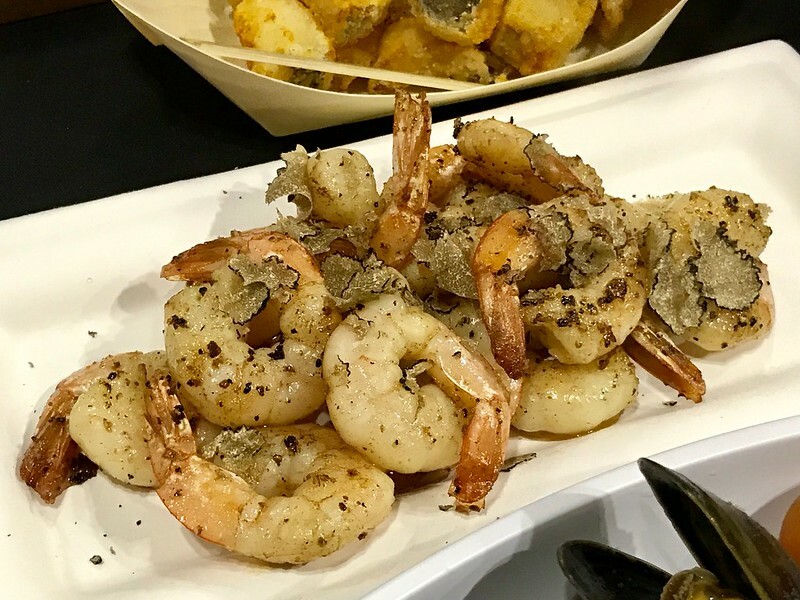 These shrimp with shaved truffles are one of the hidden gems in the whole market. Must try! 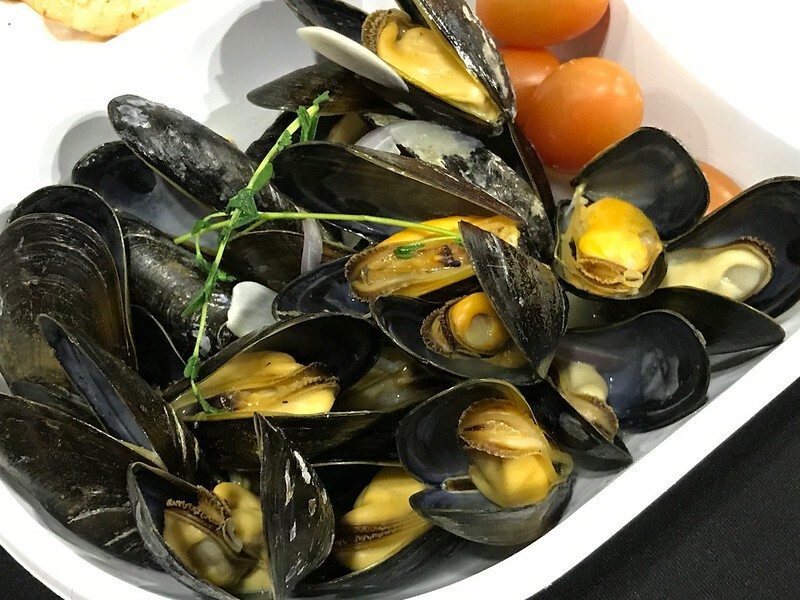 Even the mussels are uniquely tender and almost oyster-like in texture. 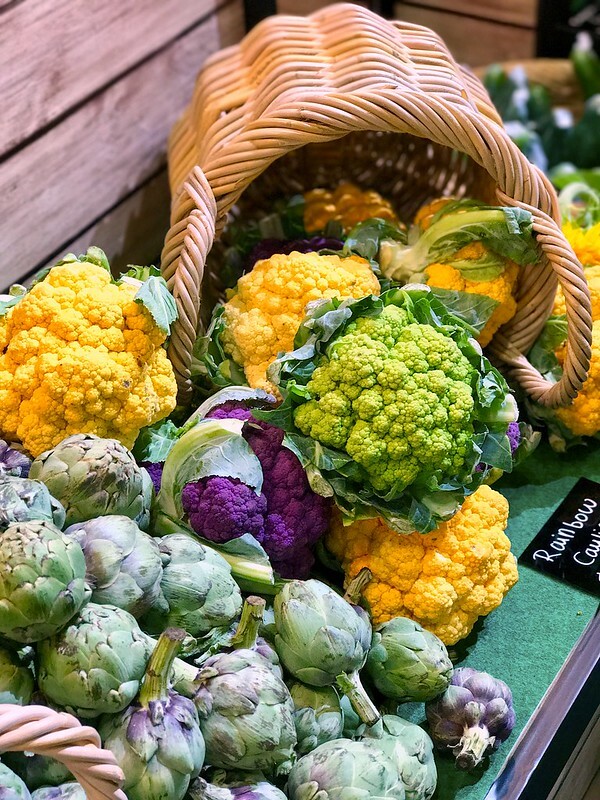 The Farmers Market showcases gourmet produce flown in from all over. 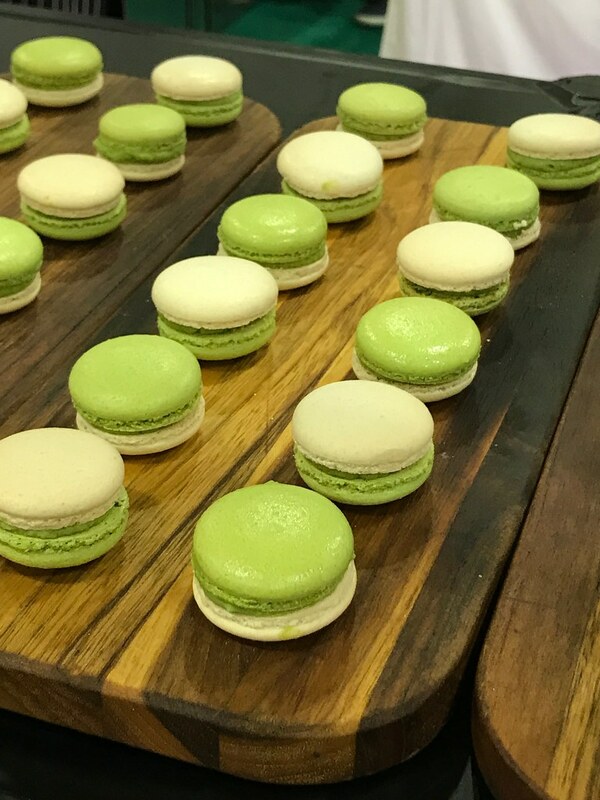 Oh these are wonderful macarons from Épicerie Boulud! I like that they're not overly sweet. 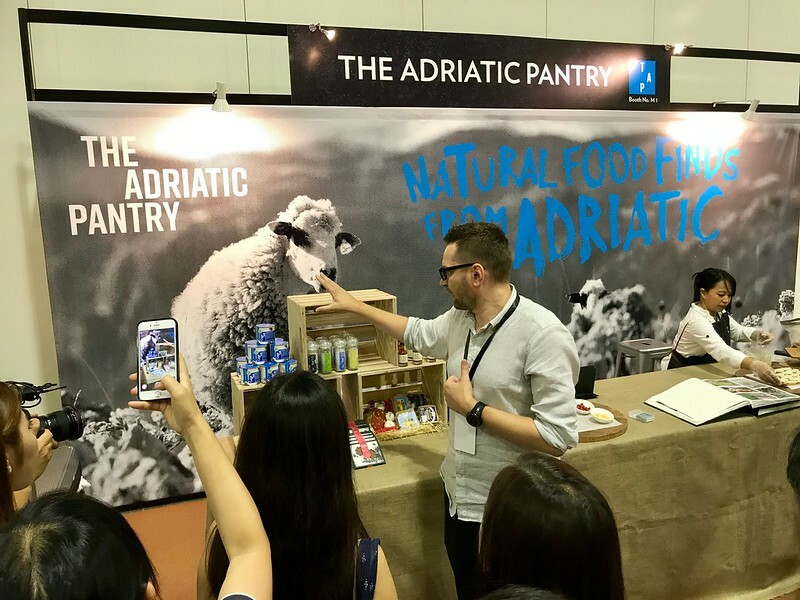 The Adriatic Pantry is back with salts (including naturally iodised fleur de sel), a special goat's cheese (the goats feed solely on sage, thereby infusing their milk with a unique flavour) and beautiful black truffles. Mozza's second booth at Farmers Market is called Mozza 2 Go, and the highlight here is the Grilled Cheese (a Nancy Silverton specialty). 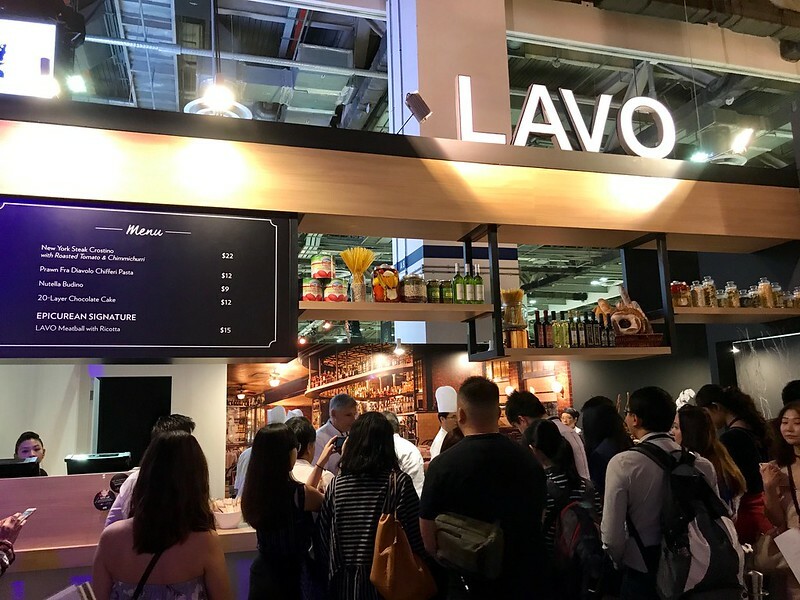 This year's wine market is the largest yet with 35 vendors; it could be the highlight for a lot of people, more so than the food. 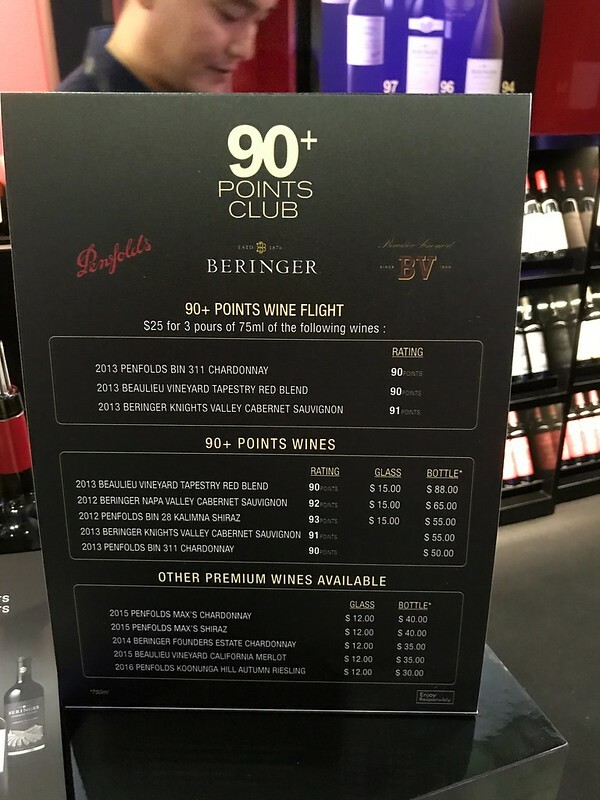 If you like fine graded wines, check out the 90+ Club. The collection of wines all have one thing in common – the recognised quality of a 90+ rating. 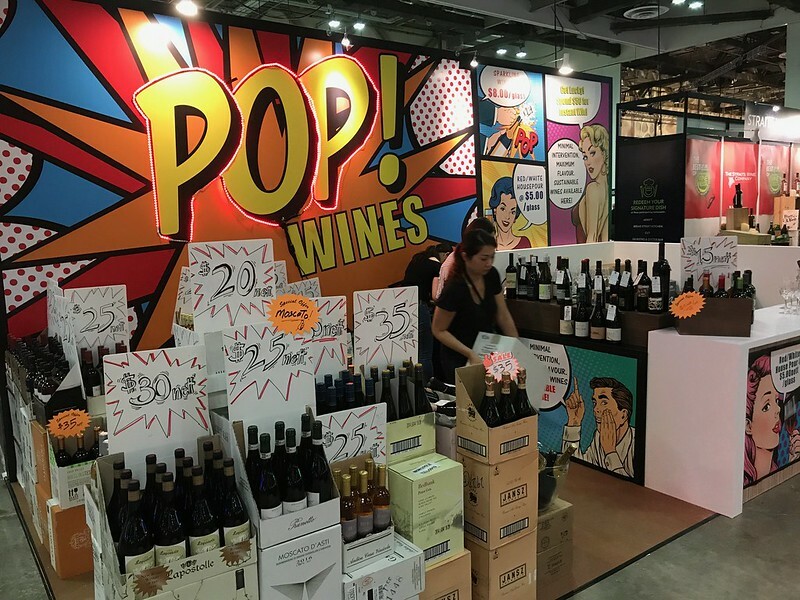 Sustainable and affordable wines at POP! 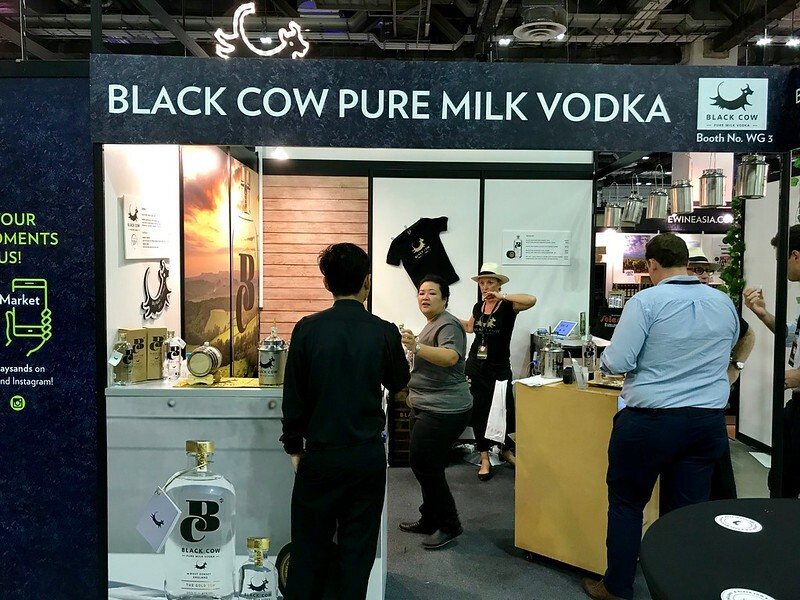 One unique product here - vodka made from whey - from Black Cow. 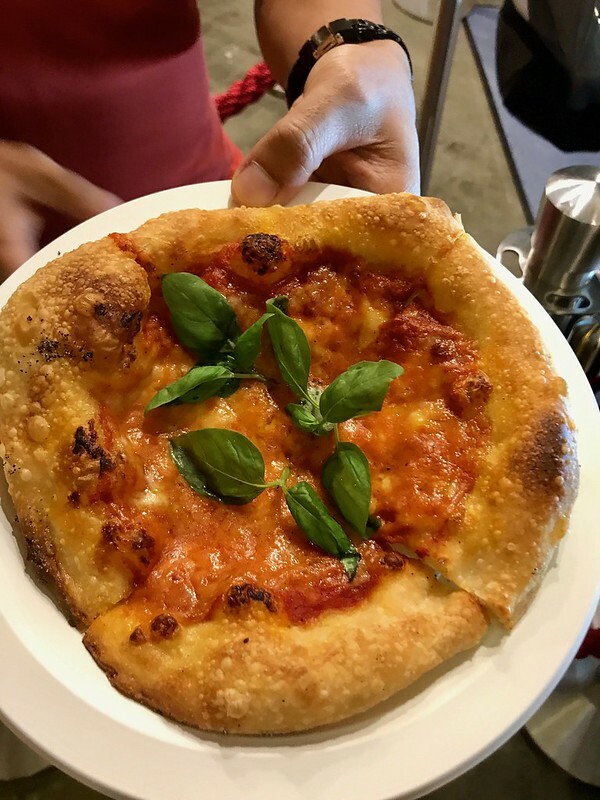 This cheese farm decided to find a better way to make use of the by-products. The resulting vodka is beautifully clear and strong. But if you're allergic to milk in any way, it's probably best to test it in small portions first. 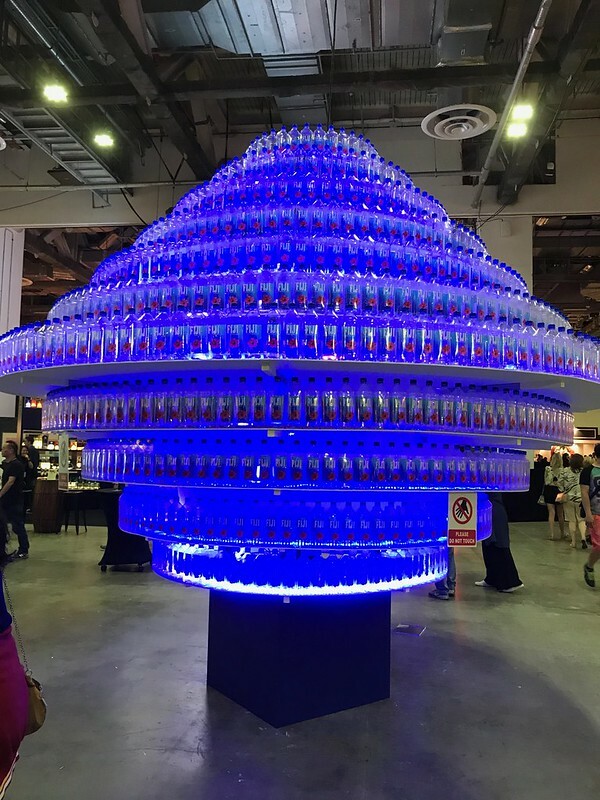 FIJI Water has an epic lit sculpture made using its bottles. This has been a bumper post and yet I haven't managed to show you everything. 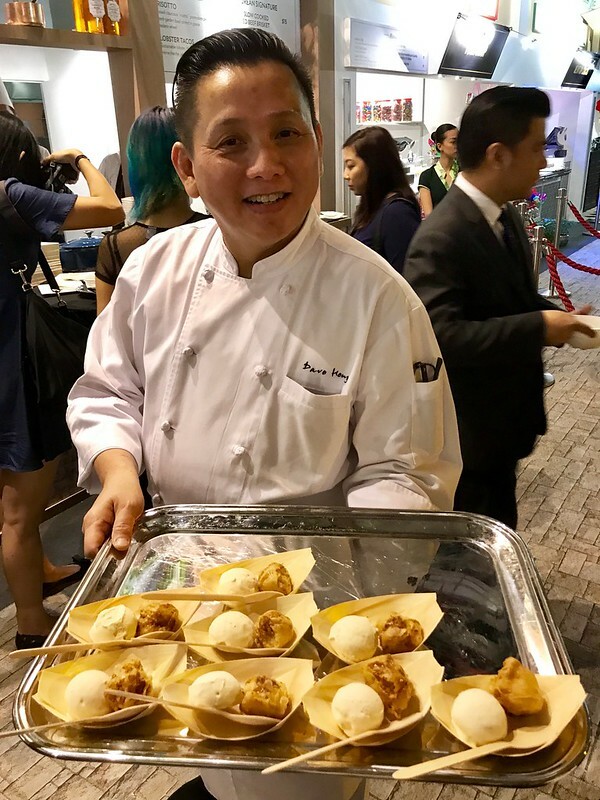 In short, there's a lot to see and experience at this year's Epicurean Market. Go have a look before it closes this Sunday! 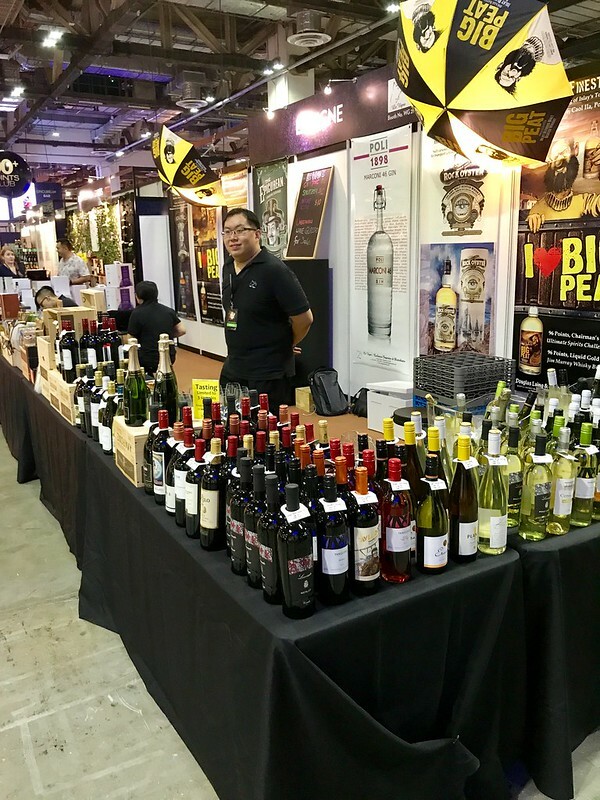 Halls A, B & C.
A Three Day Pass costs S$39 and includes entry to all three days of Epicurean Market, plus a FREE signature dish worth $15 SGD.